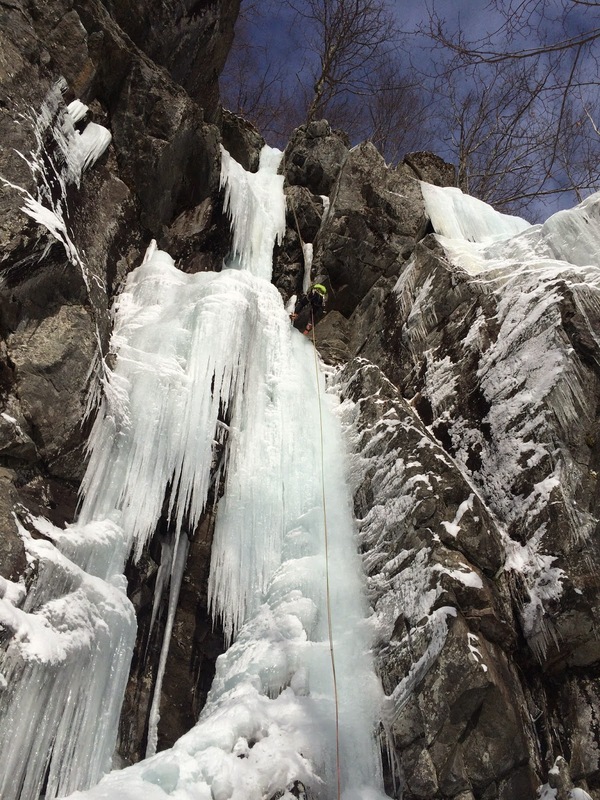 There are two themes in this blog - one primary goal is to showcase Mammut equipment and clothing that gives me the extra edge while climbing high end ice routes in the New Hampshire and Vermont areas. 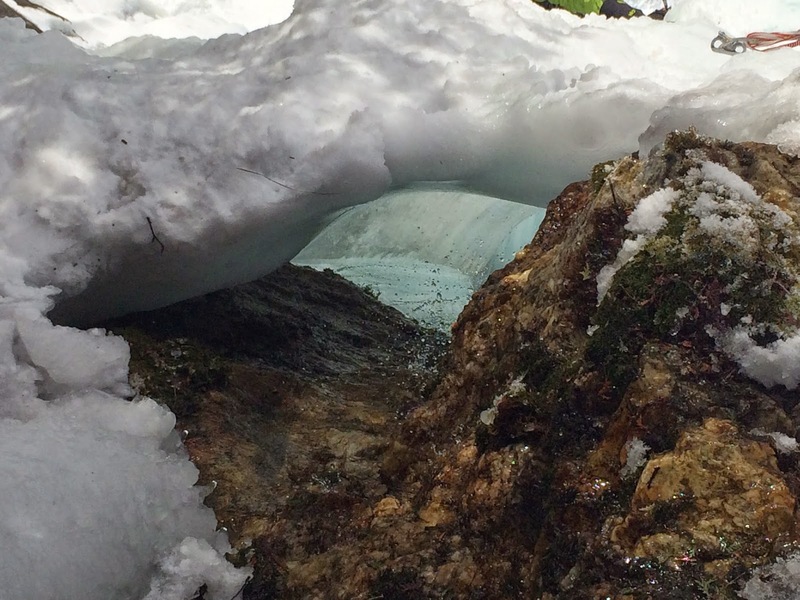 The other theme is to take each of you on a amazing photographic journey of some spectacular ice routes I visited during the past few weeks. 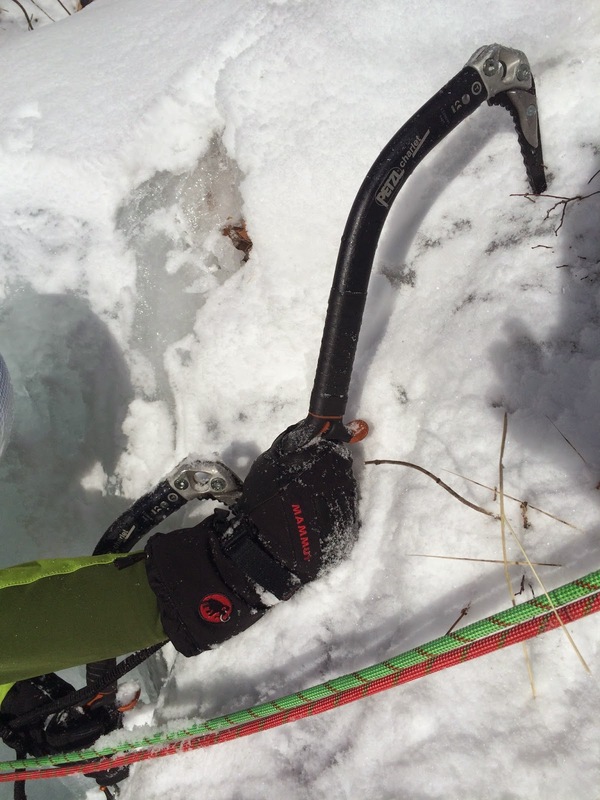 As a working ice guide, the Mammut gear I used is put to the test - day after day of use can and will break down clothing and equipment. My choices are for Mammut clothing products that are warm, functional, and the technical equipment durable and lightweight. These products must hold up and perform well as the gear I use is a critical part which allow me to complete my work. The drying room in my basement is complete with the wood stove, hanging racks and one spot to hang or lay out all the essential items. This allotted space keeps me on track each morning when I am heading out into the mountains. 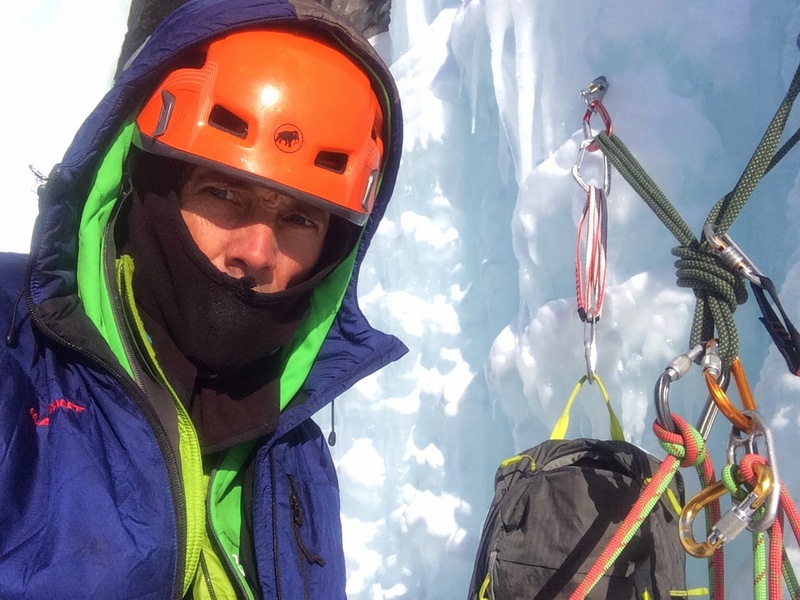 Togir Light Harness, Rock Rider Helmet to name a few key items specifically designed for demanding rock and ice routes. A part of the light weight system ready for the routes. The Mammut Twilight ropes are my first choice when climbing with one partner. 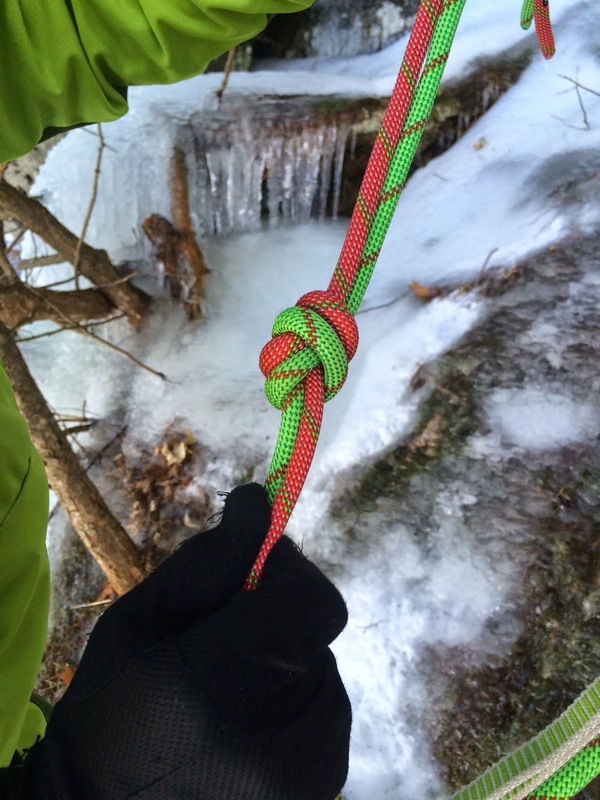 These ropes are light and strong, easy for me to lead up with and clip into the ice gear. Belaying off the anchor is smooth saving my arms for the next leads. The Neon light pack is small but adequate for my guiding needs which are a first aid kit, extra gloves, puffy jacket and small thermos of Skratch. Footwear - The Nordwand High GTX is one of the lightest high end mountain boot on the market. 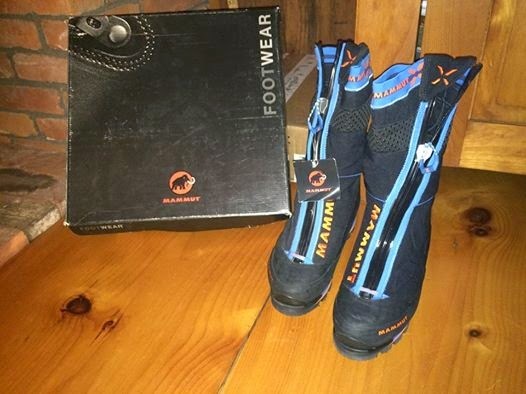 I find this high performance boot extremely warm, very comfortable, and the entry system is quite easy to work. 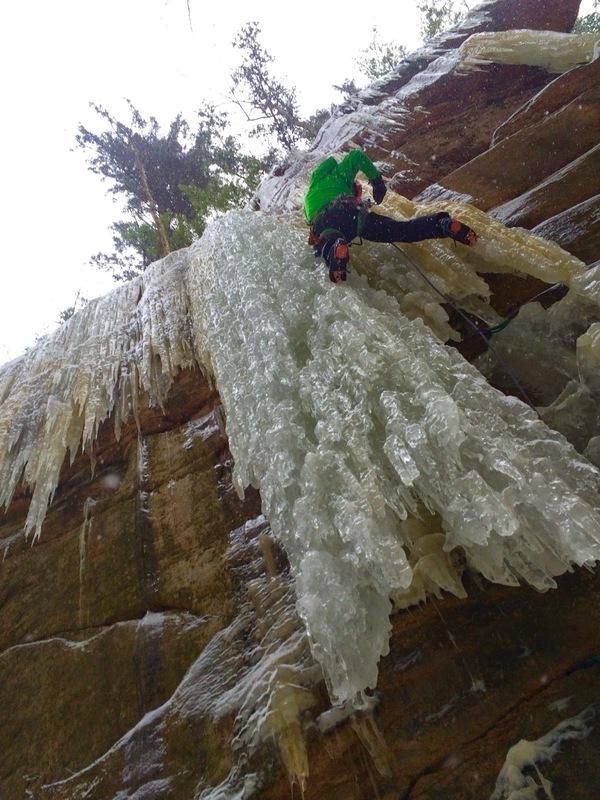 Gloves are a critical piece of ice climbing clothing. If you do not have a good system you will struggle and hands will get numb, feel blocky and frozen!!! The Siam Glove is a favorite of my partner Jerry. The glove has two options - one can slip into the Tactilite (grip) mode or for warmth slide into the Challeur (warm) area. This may seem gimicky but these gloves hold up and work quite well. My primary choice is the Nordwand Glove a very light and robust glove for high end climbing. 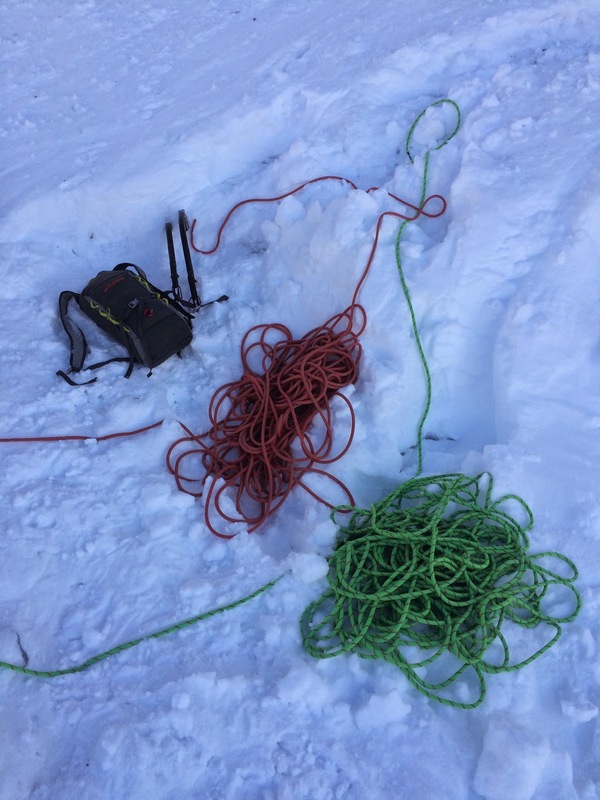 The belay duties are done with another glove or mitten saving the primary climbing gloves for one task only to climb. 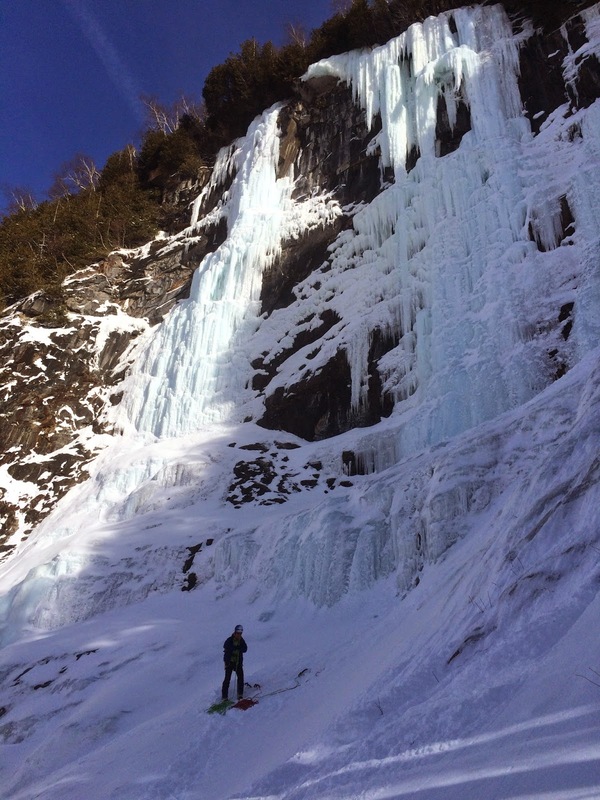 The Flume Gorge in Franconia Notch. 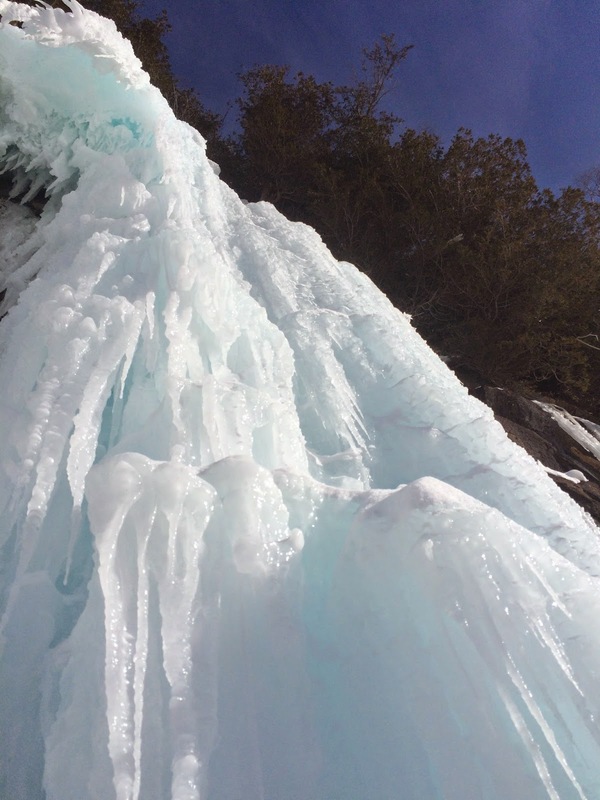 Steep Pillars of ice line the walls - this is a great area for storm days and to work on and refine movement skills. If you can hang on for a few of the prize lines you will certainly leave with a pumped up feeling. The Promenade - Lake Willoughby, Vermont. Starting up the first pitch on a cold morning on left and the final steep corner on the third pitch on right. Jerry on pitch one of the Promenade. Lake Willoughby - this season has been fantastic at the lake area. Many of the routes have formed up and are ready for the send. The above photos show the Promenade a favorite route of mine over the years. The right technique - flat overhand, dressed, then stressed, with long tails? 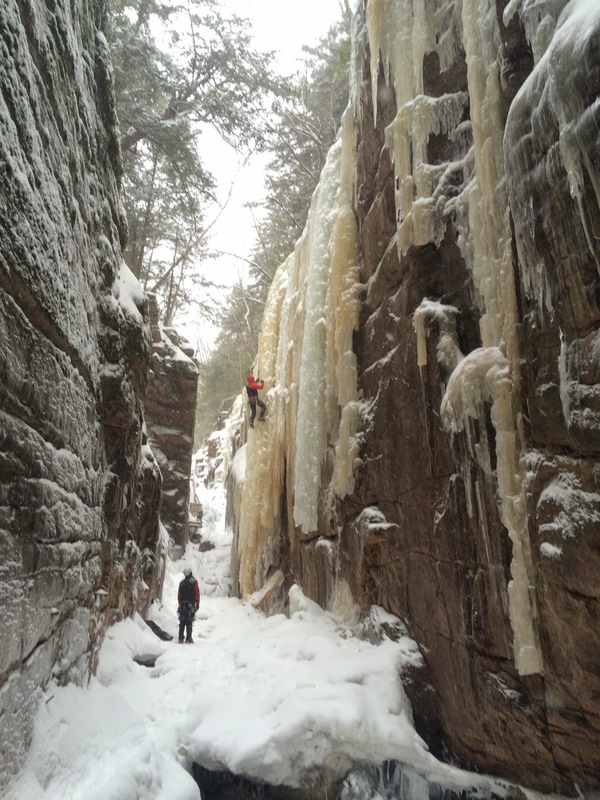 Rumney Rocks is much more than a sport climbing destination. 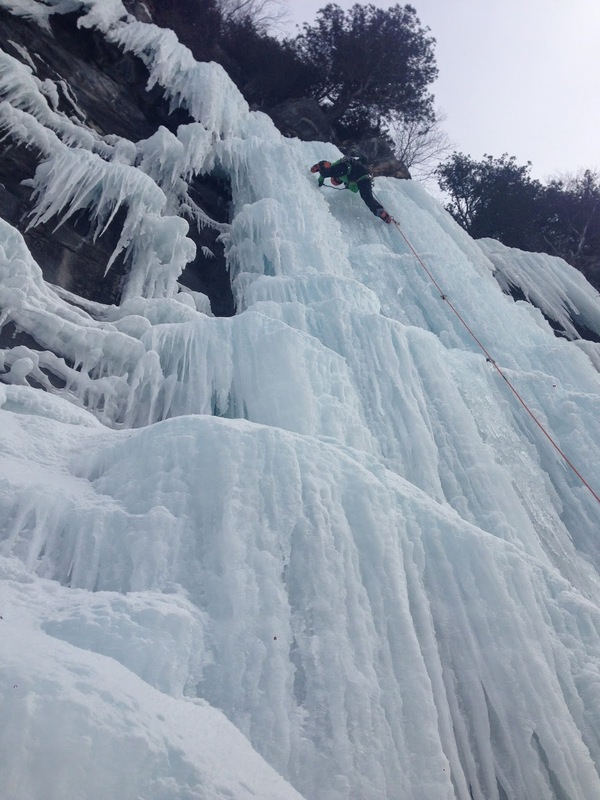 In winter these walls come alive with some very beautiful ice lines. The local test piece is the Geographic Factor pictured left and the rarely formed Fangmanship on right. 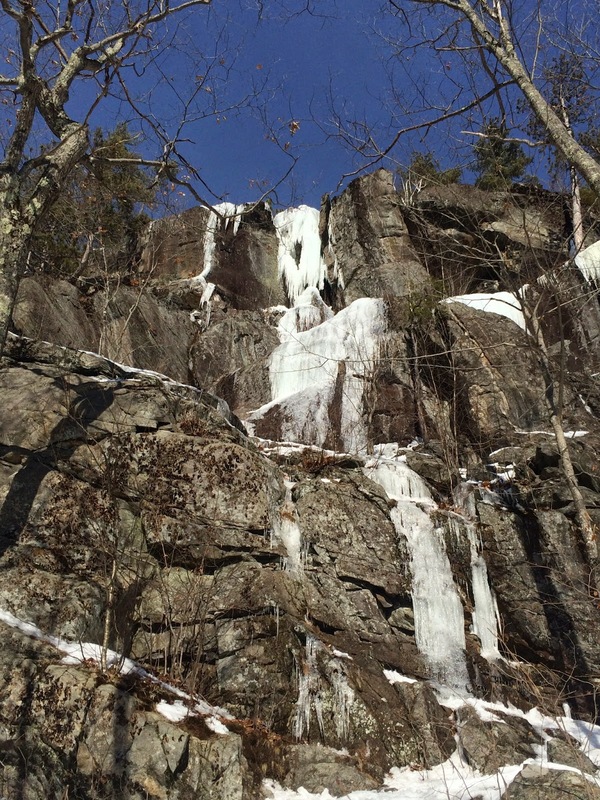 The winter is fickle in New England - temps rise and fall quickly. This mornings northern Vermont reading has been a frequent sight this winter. Plug and Chug and Mindbender - located on the northern end of Mt Piscah at Lake Willoughby. Another cold start - layers are key for me - suited up with a variety of Mammut clothing. Jerry reaching another high point - sending the Mindbender in fine style. 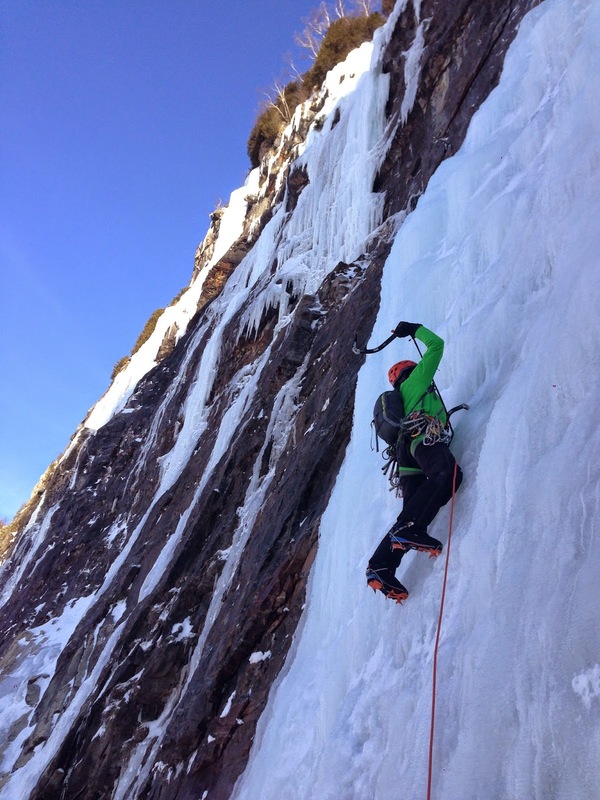 This is it - steep ice, exciting moves, brilliant sunshine high on the wall. The top out yields an amazing surprise the meltout hole running deep into Mindbender. 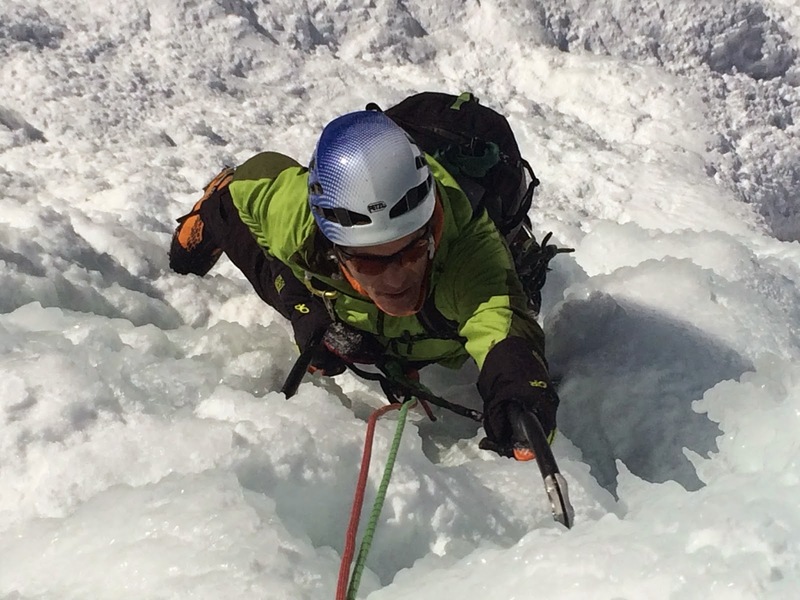 Enjoy your climbing, skiing, racing and adventuring and equip yourself with Mammut products.